Black & white architectural found heart images. 2" x 7" coated stock. Vivid food heart images perfect for keeping your place in the cookbook. Striking pink floral hearts. What better reminder that love blossoms year 'round? 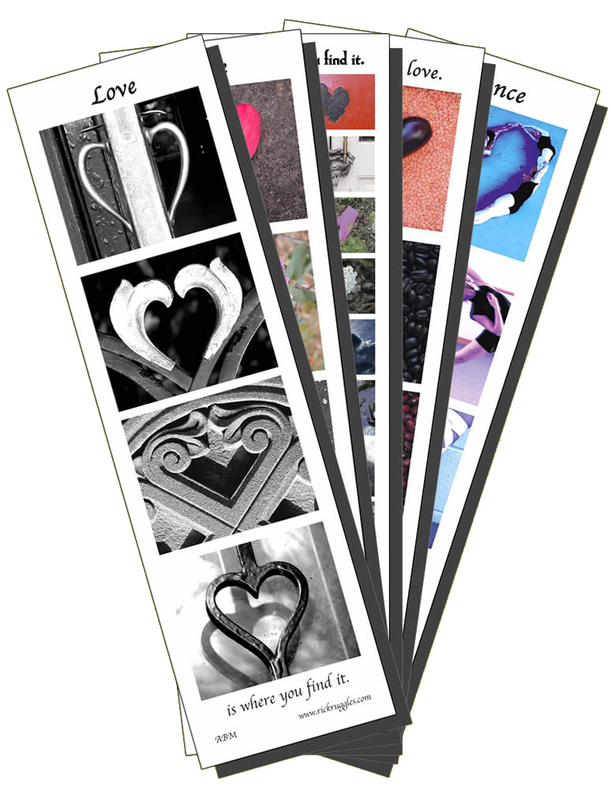 A varied collection of 20 found heart photographs to mark your place. Dance heart images by Rosalie O'Connor. One bookmark each of five different styles.